So it is the holiday season, and wouldn’t you like to give the gift of relaxation to that special someone? Well a spa gift certificate is a great option. Spa & Wellness Gift Cards and eGift Cards by Spa Week are the perfect gift for every AHH...occasion. With over 7,500 spas and wellness facilities across North America to choose from, they make a great gift for everyone on your list. Spa & Wellness Gift Cards can be used 365 days-a-year for any spa treatment or product, plus, cards never expire! 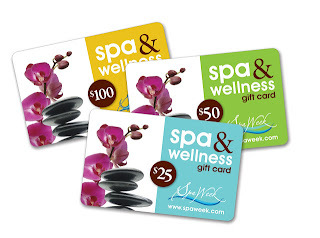 If you are looking for a gift for a person that is hard to shop for, well we all could use a little rest and relaxation and a great gift would be a SpaWeek gift certificate They are available in $25 increments from $25 to $500 and can be used for products or services. They are valid in many locational all over the US. 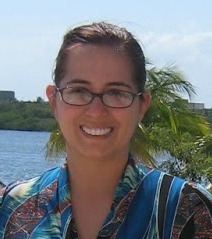 The generous folks at SpaWeek are giving one of Susan’s Disney Family readers a chance to win a $50.00 gift card! Would you like to win? Please visit the SpaWeek site, take a look around then come back here and tell me where you would use the $50.00 SpaWeek gift certificate? There are also other ways to enter, please enter below. I might go to The Woodhouse Day Spa. I would give this gift card to my mom, and would send her to one of the spas in Alexandria, Va since she just moved back there. I'd go to the spa at the Stoneleigh Hotel in Dallas. Jordan A Salon & Spa, in Maple Grove- this is the nearest one to me! Oh yes, I sure hope I win. You can beg on your knees for hubbys to give you a massage, but fail utterly.. I need to win this!!! i would get mine at salonblu in mayfield ohio. I might go to Faina Salon. Looks like there is a place called Solace near me...I might try that one. I'd go to Sènsé Nail Spa for a pedicure! I'd get my hair done at one of the local salons that accept the gift cards!! I would like this gift for Eden Day Spa and Salon in Collegeville, PA. I would go to the Brownstones Day Spa. Massage Envy on Tatum Blvd. The spa at the Stoneleigh Hotel in Dallas looks wonderful! Thank you! I would go to Synergy Spa in Raleigh, NC. I would try West End Studio in El Paso, TX. I would love to use it at Spa Salute in Austin, TX. Life Spa in Deerfield, I love that place!! I would get one at Skin Sense in Raleigh!